In the paper, they summarize TDDS established before. 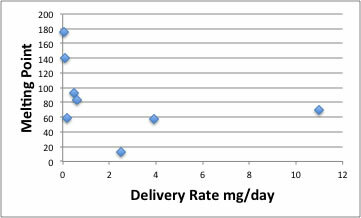 With these charts, it can be said that to predict delivery rate from MW, MP and logKow for new drugs is impossible. So I try to use Hansen Solubility Parameters (HSP) for this problem. 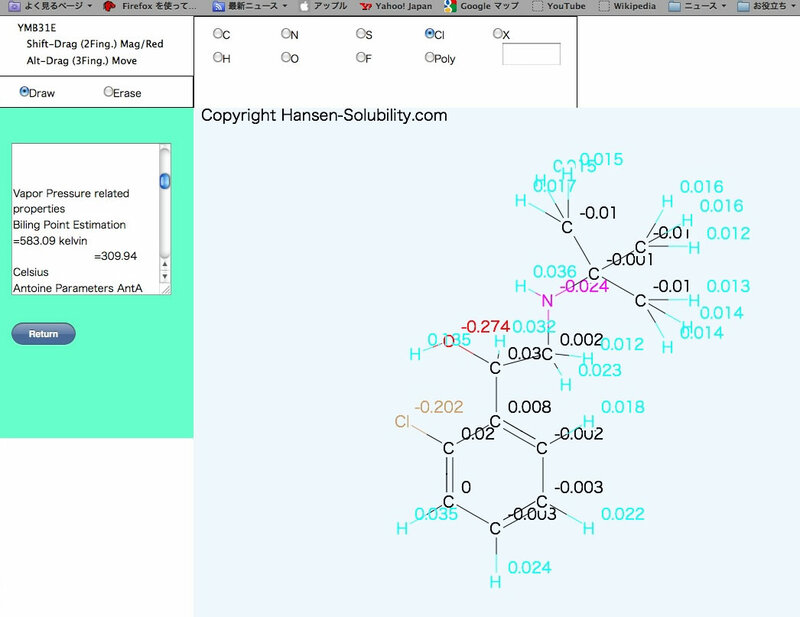 If there is Hcode(Hansen Code), you can search HSPiP DataBase, otherwise you need prepare Smiles molecular structure of drugs and estimate with YMB function. 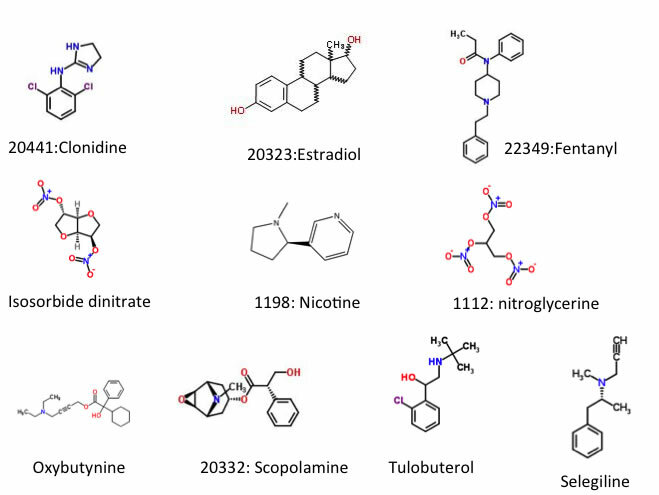 After, you get HSP of drugs, you need to calculate sphere with the option of GA, (real) data. 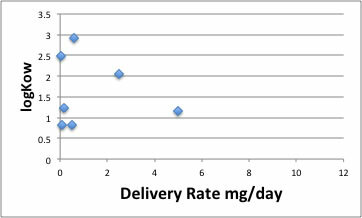 For this calculation, I use the minimum delivery rate as the score. Please refer to quantitative sphere search article for more detail. I show the result of this Sphere search with chart. 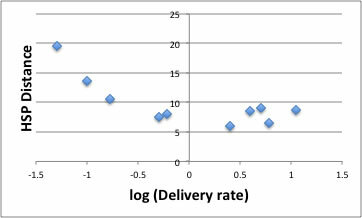 At the range Delivery rate<1, HSP distance and log(delivery rate) have correlation. So “likes dissolve likes”. The skin’s HSP and the Drug’s HSP are similar (shorter HSP distance), it lead much delivery. 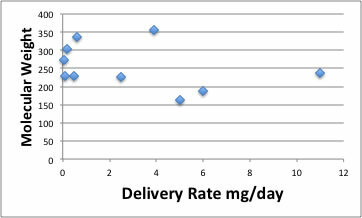 At the range Delivery rate>1 it saturate. 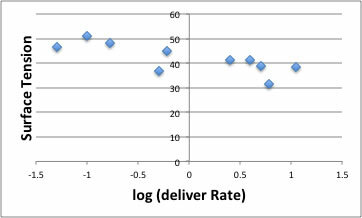 This means that other effect accelerate delivery rate. What is that? So, I build QSAR scheme with descriptors that YMB produce. The most important descriptor except HSP distance is surface tension. QSAR = -0.0891*HSP distance -0.07*surface tension + const. What is the role of surface tension? 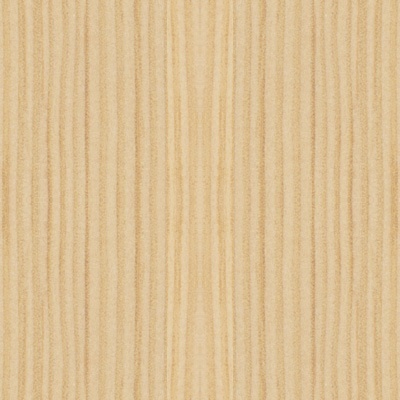 The larger surface tension means smaller deliver rate as show above chart. That may mean contact drug with skin. 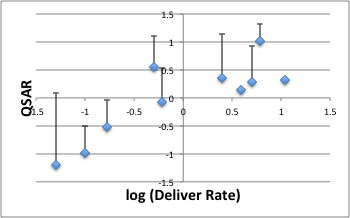 This deliver rate value is very dependent to individual. If possible, I want to know the surface tension of the patient’s skin to improve my model.